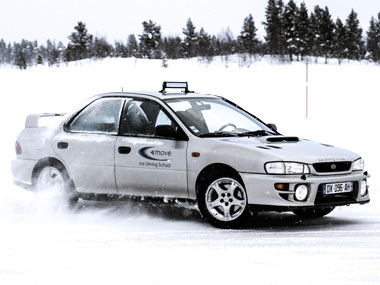 4Move on Ice driving school has been created by Jean-Christophe DAVID in 2015. Testing engineer since year 2000, specialized in chassis and driver’s assistance systems development, Jean-Christophe started to develop 4Move in the end of 2011. 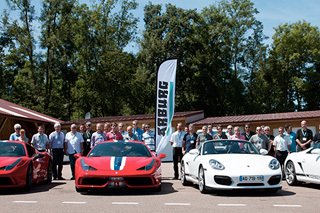 Thanks to a wide network of automotive professionals and addicts, the concept is to provide high value-added services, trainings and events. In 2017, unifying the best for every aspects and putting in common existing resources is the best way to provide optimal quality to cost ratio, combined with agile organization. 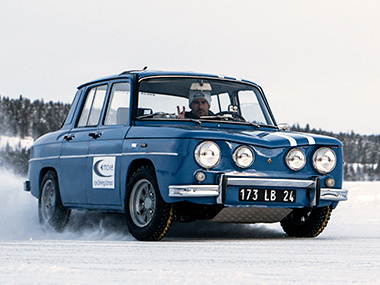 A concrete example of this spirit is our partnership with Arjeplog Test Management for offering the best environment you could imagine to experience Ice Driving ! Last but not least, our staff of expert instructors will provide the best training with a constant care of conviviality and good mood ! The duration of this program is of course scalable regarding your needs, with more or less intensity. 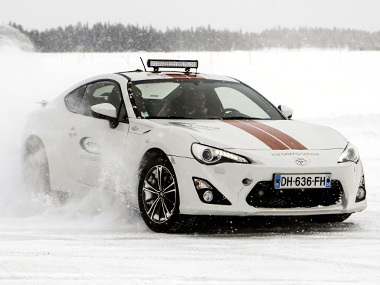 For people having already a serious driving experience in these conditions, we created this year an expert training program. 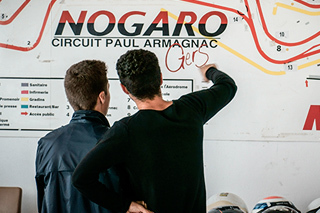 As a logical continuation of the intensive program, it includes advanced theoretical courses and really challenging driving workshops. 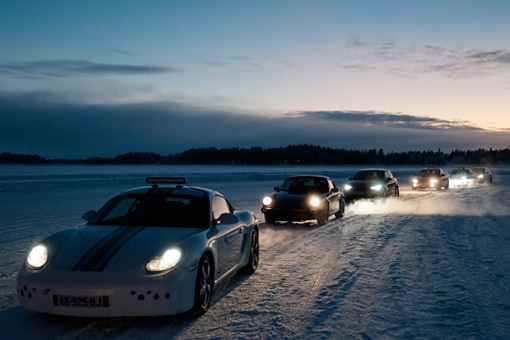 Each participant has a car full-time, which means a minimum of 5 hours/day of effective drifting, and optional tracks can be booked. 10 hours a day isn’t enough? Try our most exclusive program, which includes one more day of training and the expert program, and some specific workshops based on performance measurement and challenge between the participants. 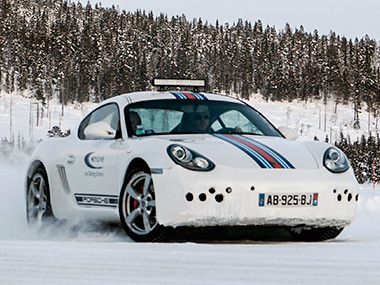 This program includes a free snowmobile ride! 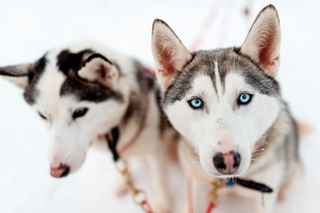 For people who want to have a more intense taste of Lapland, we propose a 1 day optional package which includes a sledge dog ride with our partners. 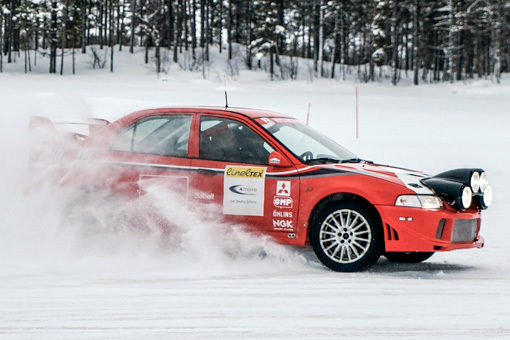 Our driving trainings are available from 4490€ TTC/pax, including plane tickets from European major airport, guided tour to Arjeplog, Intensive Training 2 days, catering at the track, half-board accommodation in 3 stars hotel. Bookings can be done individually (joining an existing group), or in private groups (à la carte program). Don’t hesitate to contact us for more details and specific offers. Intensity of the experience, convivial atmosphere, total change of scenery, and accommodation facilities, make possible the realization of an unforgettable seminar or team-building, from 4 to 80 participants. 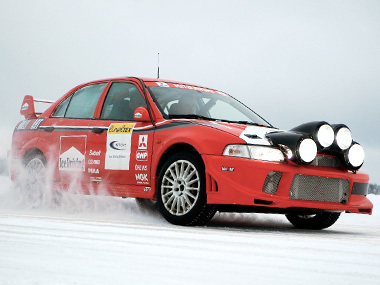 To enjoy the Lapland adventure as a couple, numerous activities are available to please your half. 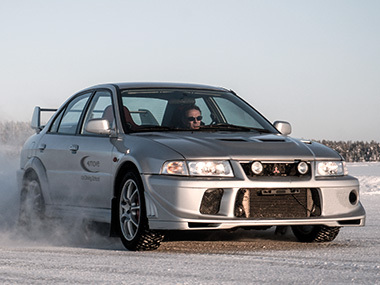 Our fleet of GTs and Rally cars is definitely the most appropriate you could find to enhance your driving skills with any kind of architecture or transmission. The GTs are as easy to handle as your everyday hatch or SUV and equipped with removable ESP. 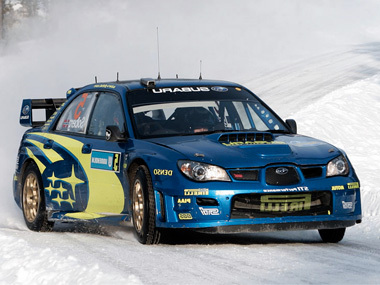 The rally cars are providing real challenging handling, raw sensations, and of course more efficiency when you masterize the art of cornering! Lapland LifestyleLapland is an amazing part of the world to discover, and proposes a wide range of outdoor activities: sledge dog ride, snowmobile tour or deep-snow attack, downhill skiing, road-trip to artic circle, authentic sauna session… We have set-up a perfect network of partners in order to help you to organize your dream trip. The typical wooden house, dedicated to briefings, theoretical courses, and catering, is located directly on the shore of our playground. 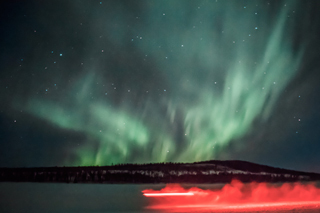 Different accommodation formulas are possible in Arjeplog (Swedish Lapland), from cottages to 3 or 4 stars hotels.Our partner the Hornavan Hotel ***, offers a Spa access to all residents (with Jacuzzi and Sauna), very welcome after an intense training day. 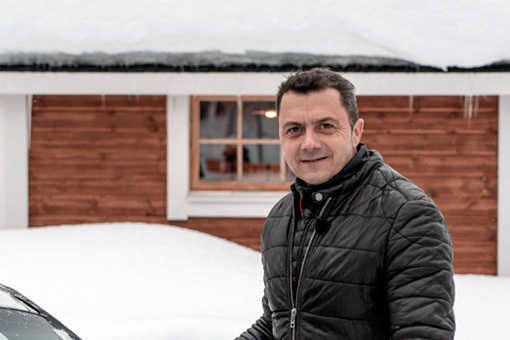 Its accommodation facilities and catering services, including the famous “Taste of Lapland” menu from its Kitchen Chef Daniel, are perfect for welcoming seminars and team-buildings. 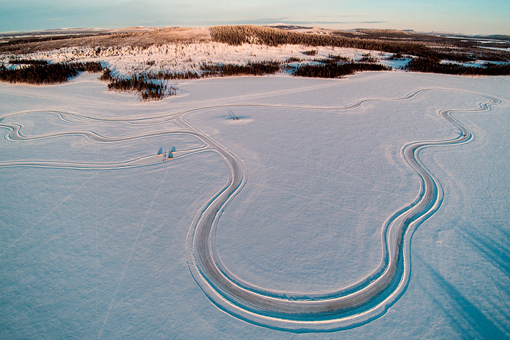 Our tracks are located 10km north-west of Arjeplog, on a lake named Ullak. Our lake is surrounded by small mountains which offer a perfect view of the trees covered in white and provide a good wind protection. 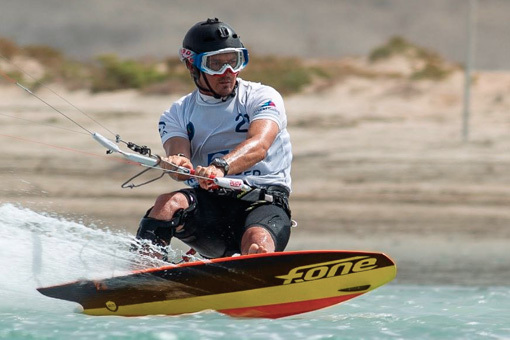 Moreover, the facilities are specifically optimized and the tracks designed for our driving pieces of training.The typical wooden house, dedicated to briefings, theoretical courses, and catering, is located directly on the shore of our playground. 1. Rally Track, 4.0 km – 2018 NEW DESIGN !2. Small circle, inner diameter 160 m3. Large circle, inner diameter 320 m4. Small Dynamic Area : 40m x 100m5. Large Dynamic Area : 850m x 60-140m (trapezoidal)6. Drift Track, 1.0 km – width 10-25m – 2018 NEW DESIGN ! For expert trainings and “à la carte” programs, 2 complementary handling tracks of 2.5km can be booked. 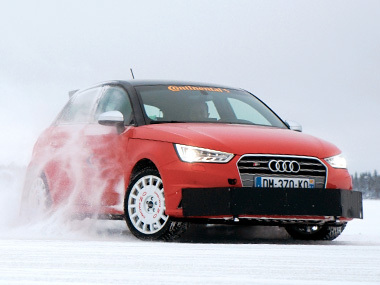 NEW IN 2018Our main handling track becomes now a real rally training track, with a lengh of 4.0 km. For sure a great challenge and an amazing pleasure, with optimized curve radius and cornering speeds.Our small handling track changes a lot this year ! We designed a brand new specific Drift Track, in order to facilitate even more the learning process of cornering and drifting ! 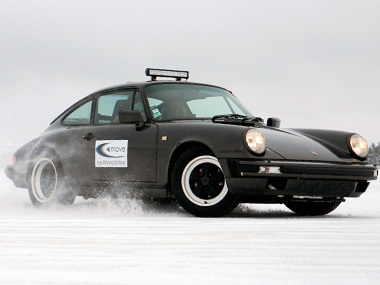 The important width and the repetitive corners will allow you to repeat the workshops until full control and accuracy of the sideways driving.